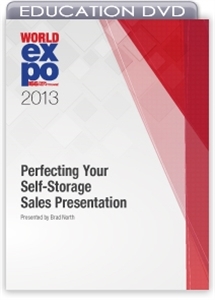 Learn ways to improve your self-storage sales presentation, conversion rate and bottom-line profitability, including how to set yourself apart from competition by building value and trust with each customer. Sales skills are essential in the self-storage industry, and so every facility manager and operator must master them. In this session, you'll learn ways to improve your sales presentation and bottom-line profitability, including how to set yourself apart from competition by building value and trust with each customer. Our presenter will discuss ways of engaging the customer, how to present your unique advantages, and how to set more appointments. He'll teach you how to convert more callers and walk-ins to actual customers, and how this will improve your revenue management and profit.